We are offering plastic crates. 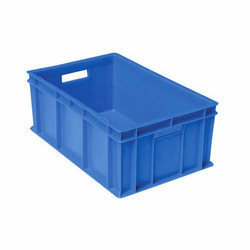 We are a well known manufacturer of plastic shallow milk crates. 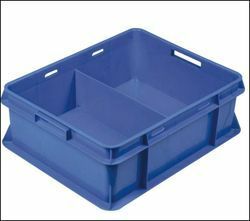 These are widely used for storage & display of milk products and milk packets in retail outlets. These are available in many colours and we can also manufacture shallow milk crates as per client’s specification. Reckoned as a leading business name, we are actively betrothed in delivering to our clients highly efficient 1500 Gram Milk Plastic Crate. Our company is highly esteemed in offering Plastic Milk Crate to the clients. With rich industry experience and knowledge, we are committed towards offering an excellent quality range of Plastic Crate.